Timken’s “Blue Brute” can take on the toughest applications. Your operations can be tough, and that leads to misalignment and damage from falling debris. Ordinary bearings would fail in those conditions, but Timken’s Solid Block Steel Housed Bearings are built just for those circumstances. 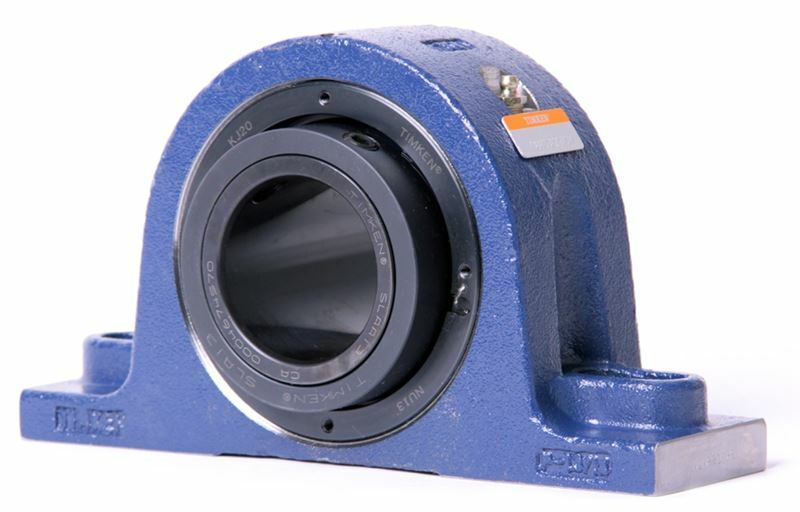 Timken’s “Blue Brute” is the only spherical roller bearing housed unit to offer cast-steel as standard. Customizable design features allow you to choose the right configuration for your exact needs. A customer of ours was having trouble with bearings on their locomotive exhaust fan for their paint booth. It was a tough application, requiring a bearing that could withstand a lot, but it was also an application that they were having trouble keeping properly greased. The bearings would fail when they were over- or under-greased. ErieTec suggested the Blue Brute with the special Teflon seals and a pressure relief valve to prevent over-lubrication. The V-lock locking mechanism was chosen in order to provide superior holding power while also eliminating over-tightening. By choosing Blue Brute, the customer saved at least $3,000 in downtime avoidance and in maintenance costs.